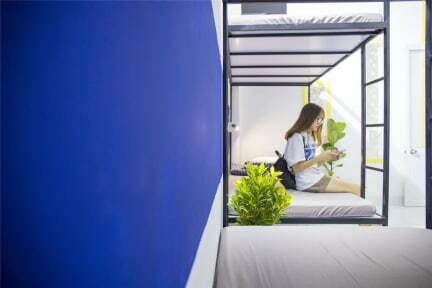 Providing free WiFi, Sky Harbour Hostel Da Nang offers accommodation in Da Nang, a 20-minute walk from Asia Park Danang. 2.2 km from Love Lock Bridge Da Nang, the property is also 2.5 km away from Cham Museum. Staff on site can arrange airport transfers. Guest rooms will provide guests with a toaster. Everyone here was really kind and very helpful! Beds were hard as rocks, staff were quite vacant and the hostel was not overly clean, even though a staff member was cleaning when I arrived. Would suggest finding somewhere else to stay as the score I have given is generous!